Graying of hair can be troublesome as it is a beauty concern for not just women but men as well. 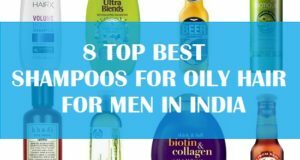 This is why in this post, we are going to talk about the best hair dye shampoos available in India. When you think about a hair color then you think about the basic hair colors that you have to keep on the hair and wash after 15 to 20 minutes. 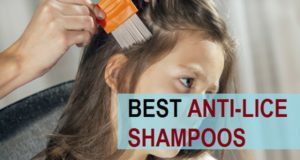 But these hair color shampoo are a bit different, because they are a multipurpose product that works as a hair dye and as a shampoo. So first of all you need to just apply the shampoo and leave it for the color to develop and then wash it off. 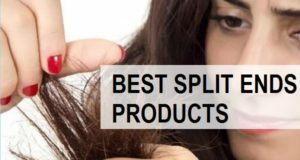 We will be telling you the entire procedure to apply such hair dye shampoo Slater but first let start with the best hair dye shampoo in India. 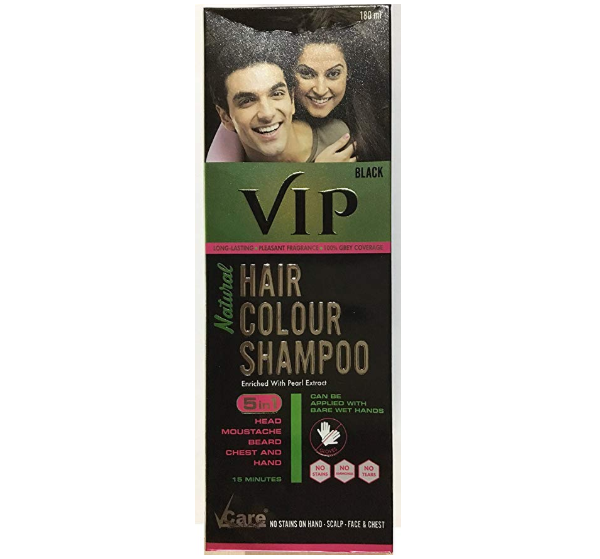 The shampoos have the color protection formula and also colors your hair in the desired color. Such shampoos are good for people who have grey hair or would like to keep their hair color radiant and vibrant. The no Ammonia shampoo is available in multiple colors and this gives you full coverage to get naturally black looking here. It is rich in Noni plant extract and gives you nourished and beautiful here. The shampoo can be used whenever you feel that the hair are getting faded in color or White hairs are prominent. The hair color counters the whitening of hair. 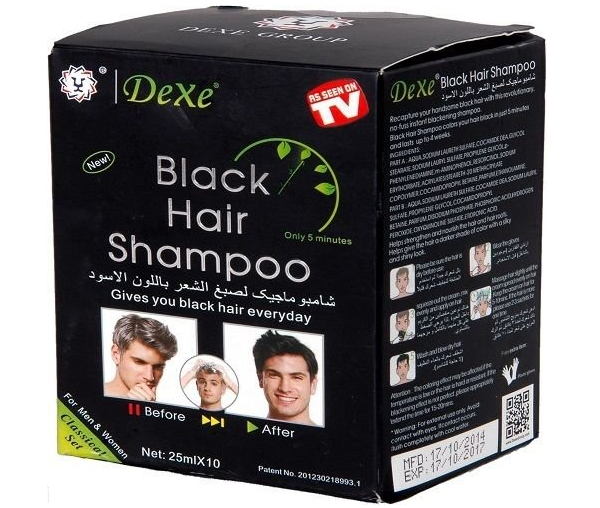 This black hair shampoo is formulated for men and women. It leaves to tie your hair within 5 minutes and the Pack contains 10 pieces of 25 ml each. This gives you an instant darker color and covers the grey hair brilliantly. It gives you a hair color that lasts up to 30 days and gives you rich Shiny here. You have to just wear the gloves and apply the hair color on your wet hair. Then massage for 5 to 10 minutes. So, that the shampoo covers the entire hair strands. Leave it for few minutes and wash it off. 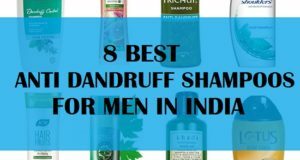 It is rich in nutrients and also clears the dandruff. This is a five in one product that is formulated with pearl extract this is a 5 in 1 product that can be used on head for hair, moustache, beard chest and hands. It can be applied with without the gloves with bare hands as it contains no Ammonia and no tears. It does not stay in your hands and within 15 minutes you can get the desired color. It covers grey 100% and gives amazing results in 15 minutes you have to just take the color from the back and directly apply it on the hair and massage uniformly. Wait for 15 minutes and rinse your hair with adequate water. 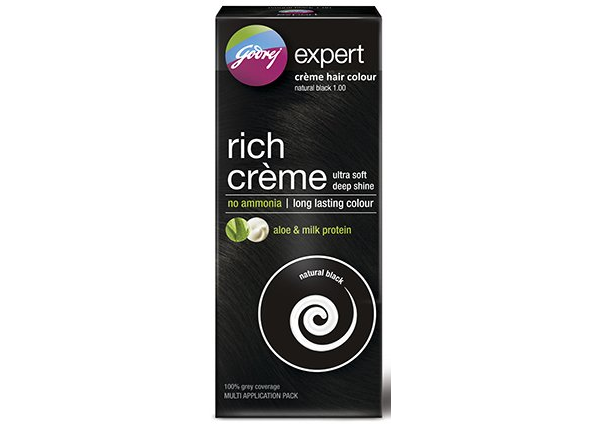 Godrej expert hair color has no Ammonia and gives you a aloe vera and milk protein nutrients. This hair color need at least 10 to 15 minutes to show a beautiful color. It is available in multiple shades like black, Brown and dark brown. It gives you 100% grey hair coverage and the color lasts longer. The pack is very affordable and can be bought from any nearby shop. They also have a burgundy color if you would like to have a reddish tint on your hair. This hair dye shampoo is rich in olive oil that helps protect the hair from the damage of UV rays and chemicals. It does not contain any Ammonia and gives instant color to your hair. This hair color is available in 4 shades like a brown, dark brown, dark black and natural black. 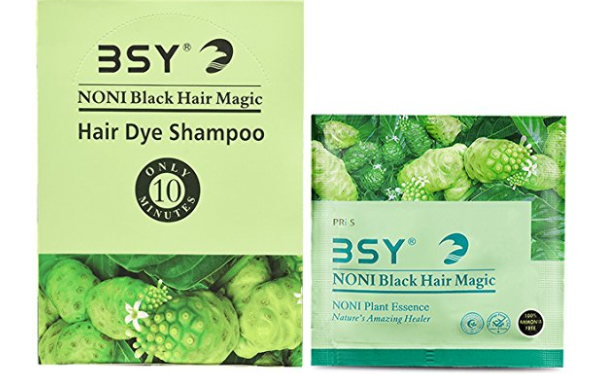 This hair dye shampoo contains Noni plant extract and gives you result within the 10 minutes. It is 100% Ammonia free and can be applied easily On The Hair. It controls dandruff and hair fall. It is a fruit based dye product formulated with multiple herbal nutrients that revitalizes your dry and dull hair. 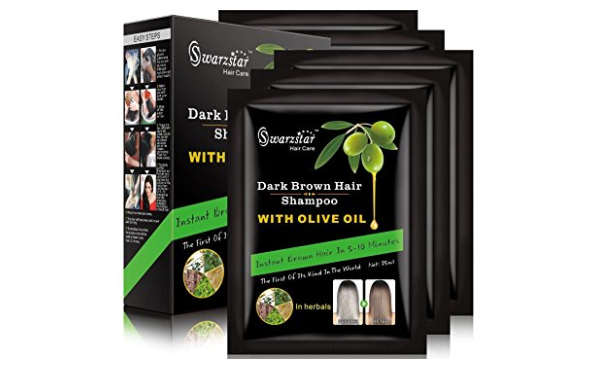 It rapidly turns your hair black and gives you smooth and lustrous hair. 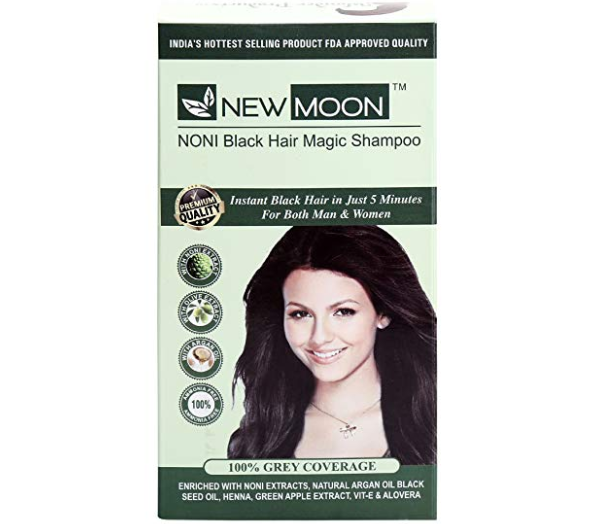 New Moon gives you complete grey hair coverage. It is enriched with Noni extracts, natural argan oil, Anna, green apple extract along with Vitamin E and aloe vera. This does not contain Ammonia and has a pH balance formula. It colors your hair in just five minutes and there is no need to wait for hours to get the ideal color. This product can be used by both men and women. It is a shampoo color that has a vegan formula. It lasts up to 6 weeks and it is free of toxic heavy metals. You just have to apply the shampoo dye on your hair which is wet. Then you can squeeze the shampoo and a small container and mix it. Apply it and massage on your hair for 5 minutes and leave for 5 to 10 minutes. Then you can wash the hair with clear water. 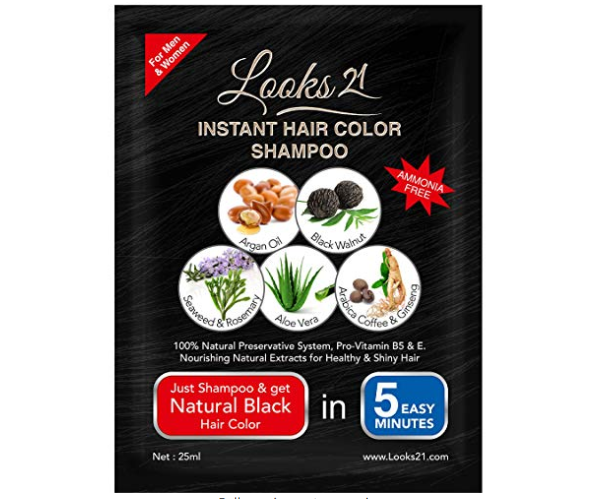 Looks 21 hair color shampoo is a natural hair dye that makes your hair beautiful and dark. It contains Argan oil extracts, black walnut, Seaweed, Rosemary, aloe vera, coffee and ginseng extracts. 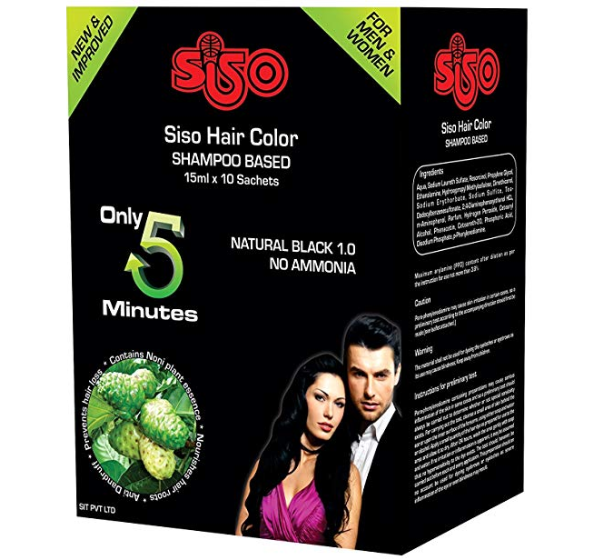 The shampoo has a natural formula that helps to color your hair in natural black within just five minutes. It does not color your hair but also makes them healthier. This hair darkening shampoo has natural ingredients and extracts like wild ginseng Vitamin E, Argan oil and aloe vera. It is safe and chemical free product that does not contain harmful chemicals. It is combined with amino acids, fruit extracts, collagen etc. 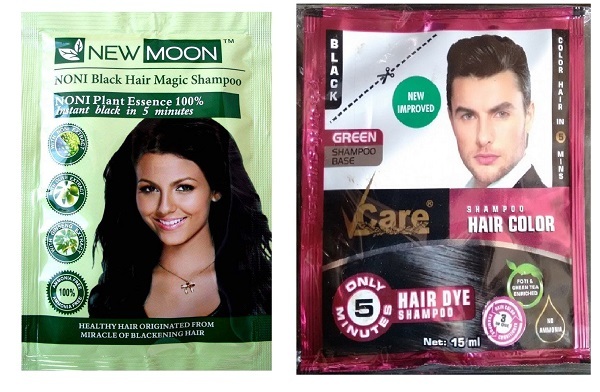 Application of hair dye shampoo is extremely easy and hassle free. You just have to wet your hair with clear water. Massage thoroughly so that each and every hair strand gets coated with the hair dye shampoo. Wait for 5 to 10 minutes or whatever time is mentioned on the packet. Different brands have different methods of applications so, you should also check that. After that you can go ahead and wash your hair with clear water. 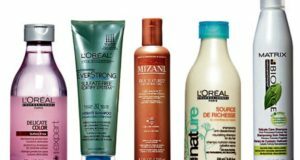 These are the best hair dye shampoo or hair color shampoos available in India. 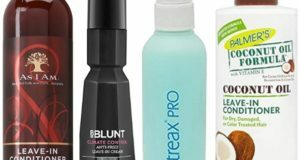 You can easily apply them to get natural-looking black hair. Have you ever used a hair color shampoo?